If Drupal is the ingredients, Capturing Community, is the "cookbook". While Drupal is the leading social content management system, Capturing Community provides the detail and instruction for building an effective online community. As the book notes, "a few CMS platforms are tailored specifically for online communities....If your site requires more custom functionality, building it from scratch in Drupal is a great way to have complete control." 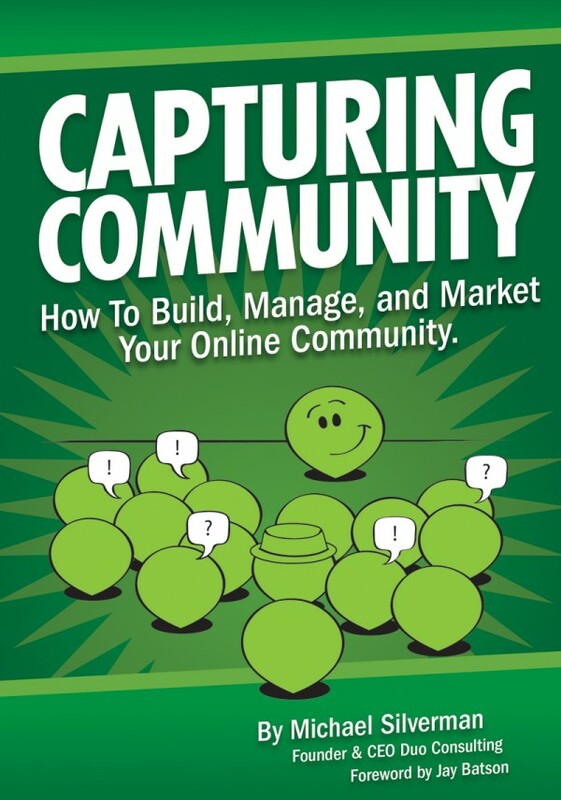 How your organization can benefit from creating or participating in online communities. Best practices—sourced from today’s most successful community managers—for developing a sticky, engaging online community. Stories about different communities—some of which include thousands of loyal members—and how they achieved success. What it takes to effectively manage the community, from technology to promotional channels. Hear from more than a dozen community management and marketing professionals, including David Meerman Scott (WebInkNow), Meghan Peters (Mashable) and Mike Samson (Crowdspring). Capturing Community provides an ongoing driver of successful online community development projects built from the ground up on the Drupal platform or with Acquia's Drupal Commons distribution.